KATARZYNA DABROWA 2012 NATIONAL FENCING CHAMPION. OSU SCREENCAPTURE KATARZYNA DABROWA 2012 NATIONAL CHAMPION FENCING. 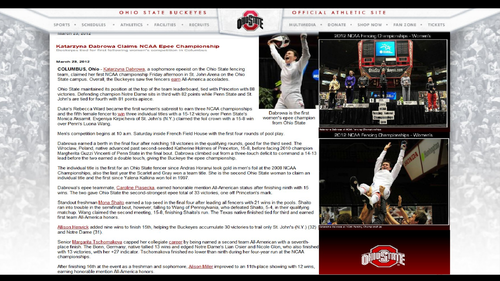 HD Wallpaper and background images in the Ohio State Buckeyes club tagged: ohio state buckeyes fencing katarzyna dabrowa 2012 national champion.